Book Kenneth Clarke as a keynote speaker. 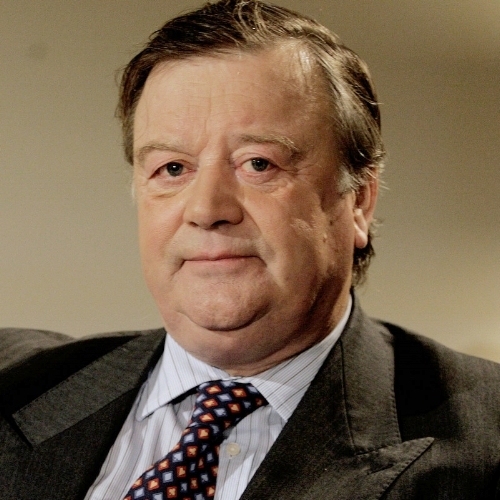 Kenneth Clarke is a giant of British politics, having served in every Conservative government from Heath to Cameron. A passionate pro-European, he resigned in 2014 over Cameron's decision to hold the EU Referendum. Returning to the back benches, he was the only Conservative MP to vote against the triggering of Article 50 in 2017. For more information on geopolitics speaker Kenneth Clarke, contact VBQ Speakers founding agent Leo von Bülow-Quirk on leo@vbqspeakers.com or 0044 7833 727090. Kenneth Clarke is a giant of British politics, having served in every Conservative government from Heath to Cameron. Amongst his many government roles, he served as Chancellor of the Exchequer under John Major (1993-1997), and Justice Secretary (2010-2012) and Minister without Portfolio (2012-2014) under David Cameron. A passionate pro-European, he resigned in 2014 over Cameron's decision to hold the EU Referendum. Returning to the back benches, he was the only Conservative MP to vote against the triggering of Article 50 in 2017. Known for his straight-talking, sense of humour and passionate speeches in the House of Commons, Ken has been at the forefront of the UK political scene for decades, winning respect and admiration from both ends of the political spectrum. Credited with restoring the British economy back to health in the 90s, he remains a superb analyst of the economic and political issues shaping the international landscape. His views on the dynamics of Brexit, and what it means for the future of the UK and Europe, are particularly relevant today.